Objective - You will learn Prezi in order to determine the meaning of words and phrases as they are used within the context of our readings. 2. Click on "New Prezi," or continue working on your saved Prezi. 3. 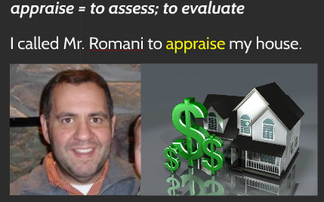 Choose a template appropriate to a 20 vocabulary word Prezi. c. Make sure to italicize the title of the book. 5. 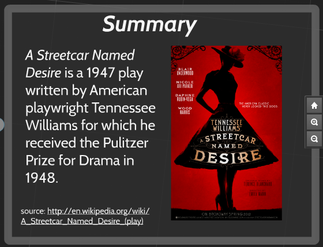 Add a brief summary of the play, A Streetcar Named Desire, by Tennessee Williams. a. Add the online address of the source of your summary - identified with "source:"
b. Add an image of the cover or poster of the play.